TREATING BACK PAIN WITHOUT SURGERY. Physical discomfort, dysfunction or pain can rule your life. It can also ruin your life by preventing you from working or participating in sports or activities you love. That’s where a specialist in physical medicine and rehabilitation can help. Also known as physiatrists, these medical doctors offer nonsurgical treatments and pain management through highly individualized therapies and treatments. 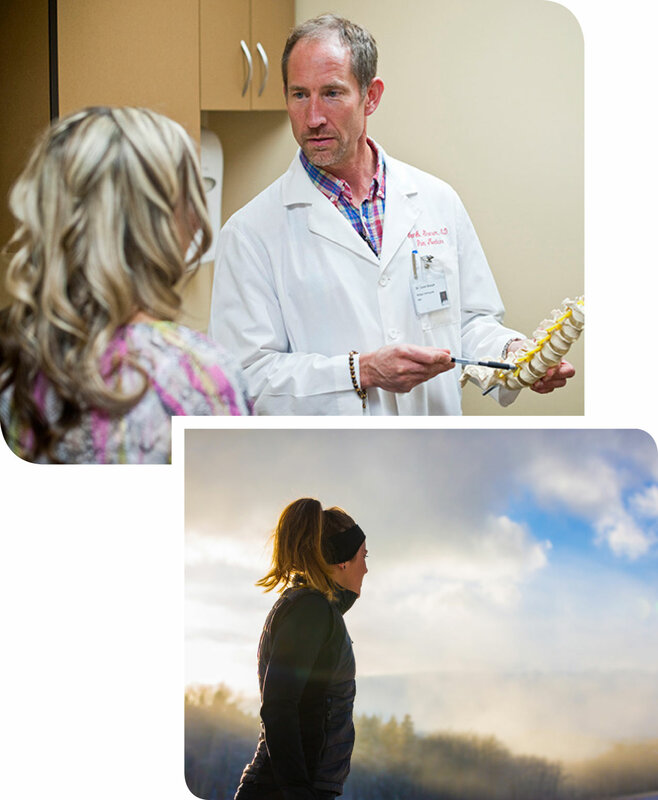 At Bridger Orthopedic and Sports Medicine we can treat a wide variety of muscle, joint and bone conditions including: back and neck pain and spine injuries, sports and work-related injuries, and arthritis and joint pain.